BCS Sugar Bowl: Worst At-Large Matchup in History? Regardless of whether you not you support a rematch between #1 LSU and #2 Alabama, the BCS achieved its primary goal. The best two teams in the nation are about to square off for the National Championship. There is room for debate over Alabama’s inclusion in the title game; did Oklahoma State do enough to warrant a chance at the Tigers? Perhaps so, but from a pure football standpoint, it’s hard to argue that the Cowboys are a better team than the Tide. However, just because the BCS got the main event correct doesn’t mean that the 2011 season will be without controversy. In fact, the BCS made arguably its all-time most egregious mistake on Sunday, when the various bowl matchups were finalized and announced. After the automatic bids were doled out, the Sugar Bowl remained open; because two SEC teams were going to the title game, normal conference ties did not apply. That meant two at-large teams would get to meet in New Orleans. #7 Boise State, which failed to win the Mountain West after losing to TCU but was still available as an at-large selection, #8 Kansas State, which finished as the second-best team in the Big XII, #12 Baylor, which finished in third behind KSU. The Sugar Bowl selection committee bypassed them all. Instead, the #11 Virginia Tech Hokies and the #13 Michigan Wolverines made the cut. It’s understandable that the committe would shy away from Boise State. The perennial BCS-buster has a razor thin margin for error, and, as a smaller program, didn’t have enough upside to outweigh its second place finish. And Baylor, despite an impressive campaign, finished at 9-3. Excluding the Bears also makes some sense. But bypassing the Wildcats, a team that lost only to Oklahoma and Oklahoma State, is indefensible. Virginia Tech finished with the same record as KSU despite playing in a far weaker conference. Other than the Big East, the ACC is the poorest of the automatic-qualifiers. The Hokies’ out-of-conference slate featured an FCS team, a Sun Belt team, and two lesser programs from Conference USA. Their best win was over lackluster Georgia Tech, and they were twice blown out by 9-3 Clemson. One of those drubbings came at home, in Blacksburg. Michigan fought to a 10-2 record. But while that is a commendable finish, the Wolverines were the third or fourth best team in a weak Big Ten. Their best win was over an inconsistent Nebraska squad at home. Michigan avoided both Wisconsin and Penn State, and was beaten convincingly by Michigan State and an Iowa team that would finish at 7-5. Now the Wolverines are in the BCS while the Spartans, by virtue of losing the Big Ten Championship, are relegated to the Outback Bowl. Nevermind that the Spartans won head-to-head, or that their additional loss came in an additional game on Championship weekend. The Hokies and Wolverines are, individually, two of the weakest at-large selections in BCS history. And collectively, they easily form the worst matchup that the series has ever produced. This is not a comment on the talent level of either team nor should it insult any fans; these programs are certainly better skill-wise than, say, the 2007 Hawai’i Warriors or last year’s UConn Huskies. But in terms of their respective bodies of work, it is an absolute joke that this is our Sugar Bowl. 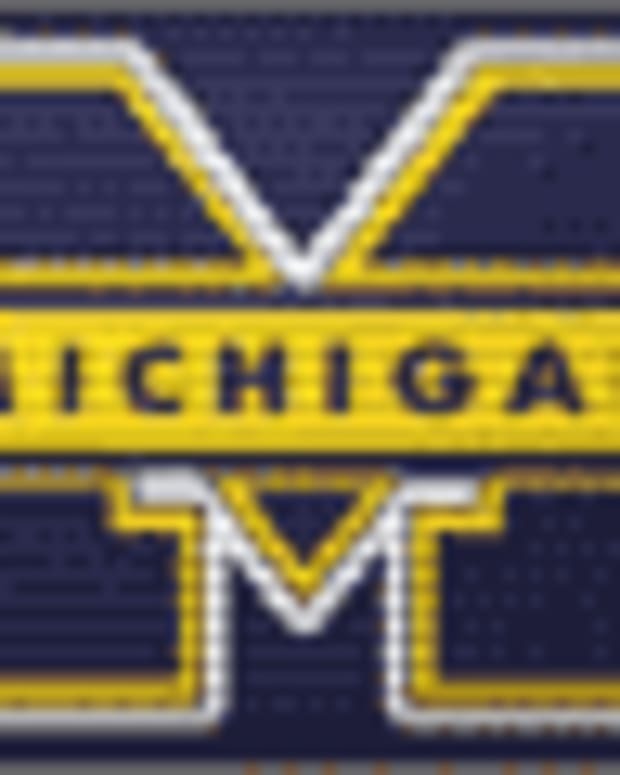 At #13, Michigan is the lowest ranked at-large selection that the BCS has ever had, tying the 2007 Illinois team that went to the Rose Bowl. The difference is that in 2007, Illinois was the Big Ten’s second-best team, and the league winner (Ohio State) was in the National Championship Game. Conference ties pushed the Rose Bowl into taking the next best Big Ten option. Michigan’s situation this season is not at all comparable. The #11 Hokies are an equally poor choice simply because they beat no one of consequence. Surviving an ACC schedule is by no means cause for celebration, and the two times VT faced a respectable opponent it was destroyed. In what football universe is that is the making of a BCS-worthy team? Aside from 2011 Michigan and 2007 Illinois, VT’s #11 ranking is the worst ever for an at-large team, tying Notre Dame (2000 and 2006). What we have in the 2011 Sugar Bowl are two teams with large fanbases that travel well. Two programs with plenty of history and tradition that will draw a crowd. And that is all the selection committee cared about. Make no mistake– this was a purely financial decision. This wasn’t about who deserved the berths, or which teams would provide the most compelling or exciting game. This wasn’t about who played the most challenging schedule or who should be rewarded for the combined outcome of their best and worst efforts. How should Bill Snyder explain this to his Kansas State team? This isn’t the same type of conversation that Mike Gundy had to have with the Cowboys. This isn’t something anyone can blame on human math, computers, or even the poor BCS design itself. The 2011 Sugar Bowl was due entirely to the almighty dollar, and that makes it infinitely more reprehensible than any controversy we’ve endured to date. If you want to channel your BCS outrage, don’t focus on The Rematch. Don’t bemoan Oklahoma State’s fate as it heads to the Fiesta Bowl. Instead, save your disgust for the transparent money grab that set up the worst matchup in BCS history.